Deadpool Infographic: Douchebags vs নায়ক. 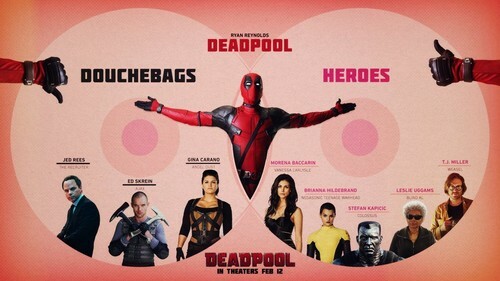 A handy guide to the characters of Deadpool (2016). HD Wallpaper and background images in the Deadpool (2016) club tagged: photo deadpool 2016 movie film infographic characters douchebags heroes.